Galvalume roll consists of 55% aluminum that make it cool when applied as the roof of the building. In residential buildings, used for the manufacture of guttering and roofs. In commercial buildings, roll / sheet can be used as a façade, gutter, until flashing. 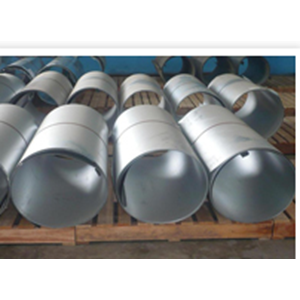 In the small industrial roll / sheet is used as raw material for the manufacture of household appliances, such as pan, saucepan, and other cooking utensils.